For years, Y5 Creative has worked to cultivate a name for ourselves as one of the best agencies for companies looking to rebrand, drive leads, and modernize their marketing strategy. We understand how important it is to have strong brand awareness in today’s digital world, and we work hard to make sure our custom solutions completely match our partners’ business needs. With Clutch, we’ve been able to do exactly what we offer our own clients – build brand awareness. Clutch is a ratings and reviews platform that ranks companies according to their industry expertise and their ability to deliver quality results to clients. Y5 Creative is included in their research of brand consultants in Canada, and we’re incredibly proud that we’ve been able to rise in their ranks and distinguish ourselves as a leading provider for branding, custom software development, and graphic design needs. Our high score on Clutch has even qualified our team to be featured on their sister website, The Manifest, as one of the best branding companies in Canada in 2018. The best part about being featured on Clutch, however, is the opportunity to hear directly from our clients about their experiences working with the Y5 team. 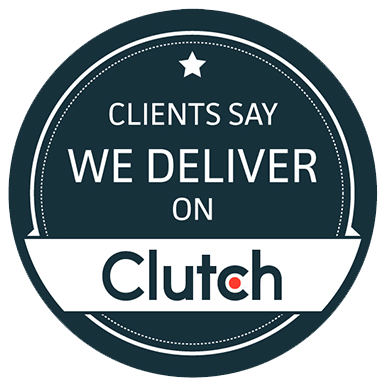 Clutch conducts reviews by speaking with our clients firsthand to gather their feedback on our team’s ability to deliver products and solutions that go beyond their expectations. We love what we do at Y5 Creative, so to hear such positive remarks from our business partners only encourages us to continue delivering quality work that instills pride in not only our clients, but also our own internal team. As Clutch’s platform grows, we’re determined to grow our own presence on their ranking until we are named the best branding, custom software development, and graphic design agency in Vancouver and beyond.